In 2016 I wrote for CODOH critical expositions of the views of two men formerly prominent in Holocaust Revisionism, David Irving and Mark Weber, who now espouse what Robert Faurisson calls Semi-Revisionism. Semi-Revisionists essentially take the stand that Holocaust Revisionism ended with the Leuchter Report in 1988: Revisionism shall go this far and no farther! This means that any accusation of mass-murder against the Germans not specifically addressed in the Leuchter Report, and not already dismissed by the Jewish authorities on the Holocaust, is supported by the Semi-Revisionists as true. Semi-Revisionists are Holocaustians minus the Auschwitz Kremas and Majdanek. The Semi-Revisionists make the most of the locations where alleged gas-chambers no longer existed and could not be examined. Most notably this includes the Aktion Reinhardt camps (Treblinka, Sobibor, Belzec), which David Irving calls “the real killing centers.” To this Irving adds the Auschwitz “bunkers” – the so-called white house and red house, the former locations of which are not even really known. Semi-Revisionists also like to bring forth accusations of mass-shootings on the Eastern Front, because these too could not be addressed by the Leuchter Report. To this, David Cole likes to add the accusation that a mere 100 Jews were gassed in 1943 at Natzweiler-Struthof, where, of course, there is no physical evidence to support the accusation. The purpose here is to show that the Semi-Revisionist position is indefensible and that the motives for its adoption by David Irving, Mark Weber, and David Cole are questionable. David Irving was a celebrity historian in the 1960s and ’70s, but never a specialist in the Holocaust. It is by accident that he came into Holocaust Revisionism. Through his study of documents he had found a lack of evidence that Hitler knew anything about any program of mass-murdering Jews. From the lack of evidence that Hitler knew of such things, when there should have been evidence, Irving concluded that Hitler did not know. Irving also noticed a lack of documentary evidence that anyone else knew about gassings. There was no mention of such things either in German domestic surveillance (Stimmungsberichte) or in the British surveillance of communications among the Germans. While putting his main trust in contemporary documents, Irving did not entirely dismiss postwar testimonies, like the 1964 testimony of Erich von dem Bach-Zelewski that Himmler had undertaken the destruction of the European Jews without Hitler’s knowledge (Irving, Hitler’s War, 1977, p. 858, cited by the crown during Irving’s 1988 testimony for Ernst Zündel). There was also a claim by Karl Wolff that only 70 men knew about the gassings of Jews. Relying on these postwar claims that the destruction of the Jews had happened secretly, with even Hitler himself kept in the dark, Irving was able to explain the absence of documentation without simply concluding that no Jews were gassed. In 1983 (in person) and 1984 (in writing) Professor Robert Faurisson pointed out to Irving that it was not credible that systematic killing of millions of Jews happened without Hitler’s knowledge. He also pointed out that Karl Wolff really only meant that no more than 70 men could have known about gassings, since Wolff himself did not know firsthand that the gassing story was true, having heard about it from Allied propaganda. Irving himself, Faurisson noted, seemed unsure. It turned out worse than he expected. 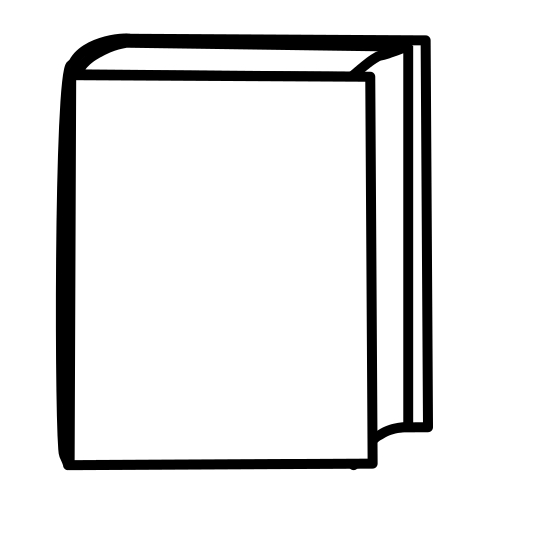 Instead of writing a book that debunks Auschwitz and having it published by a major publishing house, Irving now had great difficulty finding a major publisher even for works that were derogatory of leading National-Socialists, like his scurrilous Goebbels: Mastermind of the Third Reich (1996). This was because of the stigma that Organized Jewry had applied to him since his debut as an “unbeliever” in 1988. During his libel-suit against Penguin Books and Deborah Lipstadt in 2000 Irving complained at length about the pecuniary damage that he had suffered as a consequence of being attacked as a Holocaust Denier. In the light of Irving’s declared intentions in 1988, one sees that the trouble that David Irving encountered was much worse than he had expected. This is at least a partial explanation for why David Irving began his retreat. By 2009 David Irving was again asserting, with no more physical evidence than had existed in 1988, that Jews had been gassed – but not in the Auschwitz Kremas that Fred Leuchter had examined. His argument was based entirely on pieces of paper. When I heard David Irving speak in 2009, his main evidence for mass-murder in the Aktion Reinhardt camps (Treblinka, Sobibor, Belzec), which he calls “the real killing centers,” was the Hoefle Telegram. This telegram says nothing about killing anybody. Irving asserts gassings in Auschwitz’s (no longer extant) “white house” and “red house” based on the confession of a former deputy-commandant of Auschwitz, Hans Aumeier. Irving also likes to refer to an allegation of mass-shooting somewhere near Riga in late 1941. Irving’s evidence consists of a confession by Generalmajor Walter Bruns, and Himmler’s notes from a telephone conversation with Reinhard Heydrich that include the phrase “keine Liquidierung” – which could be a euphemism for no killing but not necessarily. At the time when I was hearing Irving talk I did not know what to think about these things, except that I noticed that the Hoefle Telegram and Himmler’s notes, cherrypicked out of thousands of documents for their supposed evidentiary value, said nothing about killing anyone. It is possible to interpret those documents in a way that is consistent with mass-murder of Jews, but they do not demonstrate it. More recently I discovered that the confessions of Hans Aumeier and Walter Bruns were extracted by torture. None of these documents is really good evidence for the mass-murder of Jews that Irving pretends to prove, and he must know it. Irving also omits to mention that Bruns’ confession has Jews queuing up for more than a kilometer (anderthalb kilometer) passively awaiting their turn to be shot. Furthermore, while the written confession attributed to Bruns makes him an eyewitness to the massacre, at Nuremberg his testimony was that he had only heard about it (G. Fleming, Hitler and the Final Solution, 1987, p.83). The origin and the content of these confessions indicate that they are not credible, and Irving knows it. 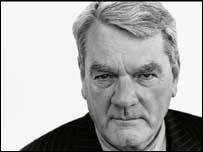 One may infer that the unanticipated magnitude and duration of the trouble that David Irving faced after he began publicly disputing the Holocaust, rather than any sincere consideration of the evidence, was the reason for his retreat from Revisionism to Semi-Revisionism. Furthermore, David Irving maintains his Semi-Revisionist position with deception. In 1979 Mark Weber, after meeting Professor Robert Faurisson, authored an article for National Vanguard magazine in which he notes the lack of “substantive evidence” for the gas-chamber story and declares, based on the absence of such evidence, that Faurisson “conclusively exposes the entire gas-chamber fraud.” For the Mark Weber of 1979, Robert Faurisson had already disproven the gas-chamber story. Instead of merely accommodating the demand for anti-Zionist materials, however, Weber began eschewing Holocaust Revisionism, which, as director of the IHR, he had no right to do. But he continued to talk and write about other historical topics contemporary with the alleged Holocaust – which shows the insincerity of his excuse that the Holocaust was too long ago to be of interest. In a lengthy 2016 interview with Jim Rizoli, Mark Weber not only avoids endorsing Faurisson’s findings but avoids admitting that he ever did endorse Faurisson’s findings, and even pretends that he had no acquaintance with Ernst Zündel prior to the 1988 trial. What caused Weber’s desertion of the cause? There are two influences that are known. In the 2016 interview Weber talks about how Organized Jewry continued to persecute Zündel through other avenues after he had beaten them in the False News Trials, using the word “astonished” several times to describe how he felt about it. The most notable witnesses for Zündel, Fred Leuchter and David Irving, had their careers ruined, and these examples most likely also made an impression on Weber. This seems to be the motive for Mark Weber’s retreat. The form that Weber’s retreat from Holocaust Revisionism took, however, was shaped by the influence of David Irving. Weber adopted Irving’s position that the Holocaust had happened, mainly in the Aktion Reinhardt camps where Fred Leuchter had made no report because the alleged facilities for gassing no longer existed. Weber tells Rizoli twice that his position is essentially the same as David Irving’s. Mark Weber supports an accusation of mass-murder on an enormous scale, about which he is able to give no details. For a professional historian who has spent decades focusing on that matter, this is embarrassing. It is on a par with Raul Hilberg’s “”I’m at a loss” during the first False News Trial in 1985. Mark Weber has abandoned all skepticism in order to jump aboard David Irving’s Semi-Revisionist bandwagon. Unlike Irving, however, Weber does not so much advocate Semi-Revisionism as use it to excuse himself from talking about the Holocaust: Holocaust Revisionism long ago reached its limit and has nothing further to say. This seems to be Weber’s position. Rizoli, however, required Weber to talk about the Holocaust. That is why Weber seemed so unprepared to answer even the most basic questions. 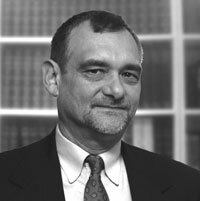 Two important facts about David Cole are that his background disposes him to be hostile to Holocaust Revisionism, and that he only got involved in Holocaust Revisionism in 1989, at a time when the cause appeared to be making important progress – after the 1988 False News Trial where Fred Leuchter and David Irving gave their bombshell testimonies. Holocaust Revisionists had achieved such shocking success in public relations with the 1988 False News Trial that the more rational Jews undertook damage-control, adjusting their holy myth to make it less blatantly untenable, and making the revision themselves pre-emptively instead of awaiting ridicule and further loss of credibility for their ethnic group. Was that also part of David Cole’s motivation? The timing of his entry onto the Revisionist stage suggests that it may have been. In his 1994 appearance on the Donahue show, Cole said that he had worked with supporters of the Holocaust story much more than with Revisionists. Did David Cole suddenly change his allegiance, or did he simply realize, like Yehuda Bauer, that concessions had to be made? The latter seems much more likely. David Cole began attracting widespread attention as a Holocaust Revisionist in 1992. The earliest mention of Cole on the website of the Institute for Historical Review pertains to the violent disruption of a meeting at UCLA, including a physical attack on Cole and others, by members of the Jewish Defense League on 22 January 1992. On 30 April 1992, Cole appeared with Mark Weber on the Montel Williams Show. In September 1992 Cole made his famous video tour of Auschwitz. On 14 March 1994 Cole appeared with Bradley Smith on the Donahue show. On 20 March 1994 Cole was one of four Revisionists (the only Jew, and by far the youngest) included in a 60 Minutes feature about Holocaust Revisionism. David Cole was getting a lot of publicity for somebody who had only been interested in Holocaust Revisionism for a short time. How did he get so much attention so quickly? It is interesting, in this context, to consider an observation by “ex-Jew” Gilad Atzmon, about what he calls “satellite Jewish dissent.” When there is a “Jewish problem,” Atzmon observes, it is very easy for a Jew to take charge of the non-Jews’ protest, and thus to turn a protest against Jews into what amounts to controlled opposition. The reason why this is easy for a Jew to do is that nobody wants to be in conflict with the Jews and to incur all the trouble that comes with that. To avoid all that trouble, the non-Jews allow the Jew to speak for them and to become their leader. The result is that what began as a complaint against Jews becomes a quarrel among Jews, with the outcome of that quarrel limited to the possibilities that are acceptable to Jews. Atzmon even refers to David Cole as an example of this phenomenon. The fact that some Holocaust Revisionists were very happy to have a Jew on their side to mitigate criticism is clear, but it is just as clear that mass-media were more willing to air Holocaust Revisionism if a Jew was representing it. Because David Cole was a Jew, he was able to get more, and more sympathetic publicity, faster than non-Jews who had been working in the same field for decades. Today, David Cole writes for Taki’s Mag. Does anybody believe that Taki’s Mag would publish David Cole, with his connections to Holocaust Revisionism, if he were not a Jew? Recently some politically liberal producers of a podcast asked for my advice about a Holocaust Revisionist that they could interview. When David Cole was mentioned, I told them that he was not a good representative, but my protests were nugatory and they chose him anyway, because he was a Jew and they would get less criticism. Now, in David Cole’s favor, he is a good presenter. He knows how to make relevant points in a concise manner. His Auschwitz tour video has better sound and a better pace than the similar video made by David McCalden a few years earlier. However, it is indisputable that David Cole’s ethnic identity caused an automatic and not-entirely-deserved exaltation of his status as a representative of Holocaust Revisionism. It is just as clear that David Cole likes to exaggerates his own importance. In recent years Cole has written: “I feel partly responsible for the fetish among revisionists regarding physical evidence.” (Adelaide Institute newsletter, August 2014) No, sorry David. Revisionism has always been about overcoming fake documents and fake testimonies, and the strongest way to do it is with physical evidence. That is why Professor Faurisson visited Auschwitz in the 1970s, and the Leuchter Report was commissioned in 1988 – all before the advent of the Jewish Revisionist. But as Cole tells the story, nobody had heard that Krema I was a “reconstruction” before he, as a Jew talking to a fellow Jew, got Franciszek Piper to admit it. But it was Robert Faurisson who discovered the blueprints for the structures in 1975, and was told by officials of the Auschwitz Museum already in the 1970s that Krema I was a “reconstruction.” Cole however was able to get much more publicity as he took credit for Faurisson’s discovery, than Faurisson ever got. Faurisson the expert and Cole the upstart, however, took different attitudes toward this revelation. While Cole accepted that Krema I was a “reconstruction,” Faurisson had rejected that word and urged the use of the word falsification, since a “reconstruction” of an alleged gas-chamber that never was a gas-chamber is not a reconstruction. Faurisson criticized Cole’s negligence in allowing Piper to get away with that misrepresentation. Cole’s exaggeration of his importance as a Revisionist can be seen as mere egoism, or it can be seen, in accord with Atzmon’s observation, as putting a Jewish face – and consequently Jewish limitations – to the maximum extent possible on what had been a criticism of Jews and their Jewish fraud. Atzmon opines that Cole is “not a conspiracist,” and that may be, but it is certain that Cole has been somewhat two-faced. Thus, it appears that David Cole’s involvement in Holocaust Revisionism was always a matter of Jewish damage-control. The pro-Holocaust spokesman on that 1994 Donahue show, Michael Shermer, was actually a friend of Cole’s, and was able to get onto the show because of this connection. According to Cole, Shermer had to bluff his way through the show because he was not an expert on the Holocaust and, having been supplied by Cole with a list of 38 Revisionist points, he was unable to get responses to those points from any of the well known Holocaust experts that he asked. Shermer was in fact told by an official of the Simon Wiesenthal Center that there were no good responses, according to Cole. David Cole later denounced Shermer’s performance on the occasion, but the kind of rhetoric that Shermer used on that Donahue show in 1994 – when we know that he was bluffing – happens to be the kind of rhetoric that David Cole and the other Semi-Revisionists use today. That is to say that the Semi-Revisionists put the burden of proof on the skeptics and give the presumption of truth to the Holocaust. They do this most conspicuously when they decide that the total lack of physical evidence for gassings at the Aktion Reinhardt camps is not a problem. They do this when they willfully interpret documents like the Hoefle Telegram in such a way as to make them support the Holocaust narrative. And, they do this when they ignore the lesson of 1988 (a lesson already taught by Rassinier), that testimonies of “Holocaust survivors,” and confessions extracted from men in Anglo-American custody, whether Rudolf Hoess or Walter Bruns, cannot be trusted. Holocaust Revisionists by contrast take the position that many accusations made against defeated Germany in 1945 were made hastily with a propagandist motive, and were never adequately proven. Nor do those accusations become more credible simply because they have been repeated for many decades. Thus, the Semi-Revisionists share the Holocaustian presumption about where the burden of proof belongs, and have in common with Revisionists only that they accept the Leuchter Report. Now, in his essay “Denial is Dead” (Taki’s Mag, 29 September 2016), David Cole identifies himself, Mark Weber, and David Irving as the true representatives of Holocaust Revisionism – simply because they have been accorded the most notoriety in the United States of anyone that has been publicly associated with that cause. What we see however is that these are the men who have abandoned Revisionism: in Irving’s case from pecuniary motives, in Weber’s case apparently out of fear or despair, and in Cole’s case it seems that he was never so much a Revisionist as a Jewish damage-controller. Is it not interesting how the personalities within Revisionism most adept at getting publicity have turned out to be the least principled? Ah, Auschwitz. Yes, here’s where we still have a problem. Auschwitz is why Irving, Weber, and I are unlikely to be invited to the Simon Wiesenthal Center’s fall cotillion. […] To me, the evidence just isn’t there, and the evidence that does exist calls that claim into question. By defending Semi-Revisionism in the pages of a relatively mainstream publication like Taki’s Mag, Cole has given to Holocaust Revisionism the proverbial two steps forward and one step back. Even as he derides sincere Holocaust Revisionism, he has helped to bring the mainstream closer to the Revisionist position.